superb, timely, funny, and incisive persuasive, passionate, reasoned, and engaging compelling, inspiring, scintillating, and fascinating great fun to read, packed with entertaining titbits, and thought-provoking. 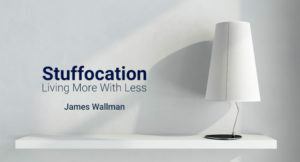 In the book, trend forecaster James Wallman reveals the world’s growing sense of Stuffocation — and how we can move away from it. We have more stuff than we could ever need – clothes we don’t wear, kit we don’t use and toys we don’t play with. But having everything we thought we wanted isn’t making us happier. It’s bad for the planet. It’s cluttering up our homes. It’s making us feel ‘Stuffocated’ and stressed – and it might even be killing us. In Stuffocation, James Wallman traces our obsession with stuff back to the original Mad Men who first created desire through advertising. He interviews anthropologists studying the clutter crisis, economists searching for new ways of measuring progress, and psychologists who link rampant materialism to declining wellbeing. And he introduces us to the innovators who are turning their backs on all-you-can-get consumption, and trading in materialism for “experientialism” – where they find more happiness, live more meaningful lives, and express status more successfully, through experiences rather than stuff. Experientialism does not mean giving up all our possessions, but it does mean getting over our obsession with them, and transforming what we value. We have to focus less on possessions and more on experiences. Rather than a new watch or another pair of shoes, we should invest in shared experiences like holidays and time with friends. With intriguing insights on psychology, economics and culture, Stuffocation is a vital manifesto for change. 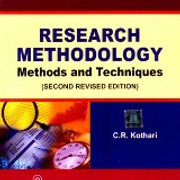 It has inspired those who have read it to be happier and healthier and to live more with less.